MASVINGO-The Traffic Safety Council of Zimbabwe (TSCZ) is building a $1m road safety office block at its premises along Simon Mazorodze Avenue in Masvingo which is set for completion before year end. The construction which is being done by Manah Building Construction (Pvt) Ltd and supervised by the Ministry of Local Government Public Works and National Housing started in 2017 at their old offices said the TSCZ managing director, Obio Chinyere. “The building is worth a million dollars and it will have offices on the ground and first floor, there will be a lecture room as well. “If there is excess space we will rent it out although I don’t foresee that happening considering how busy this area is going to be, with the dualisation project and the coming on stream of the Tugwi Mukosi Dam a major tourist attraction,” said Chinyere on the phone from Harare last Sunday. Chinyere added that the construction of the office block is part of the devolution exercise where they want every province to have its own command centre and to be physically present. “We anticipate a boom in the economy through activities like road construction and tourists to the new dam as a result there will be more vehicle population and as part of our mandate we don’t want to be caught unaware hence the preparations. “As part of decentralisation we are going to have provincial road safety consultation committees led by TSCZ and comprising the Police, ambulance service providers, local authorities and Ministry of Health and Child Care housed at the block. This committee will make recommendations which apply to the local environment unlike a situation where the head office recommends things which might be at variance with what is prevailing on the ground,” he added. 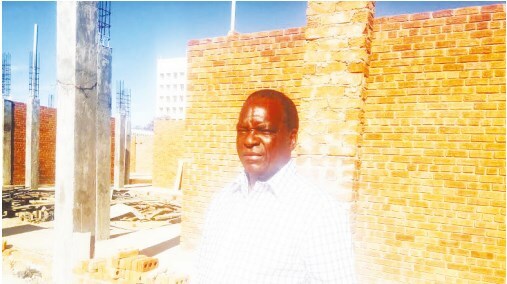 Currently the Masvingo TSCZ is housed along Greenfield Street where they are renting awaiting the completion of the new block. Besides Masvingo TSCZ has offices in Gweru, Mutare, Harare and Bulawayo and they are planning to be in each province.